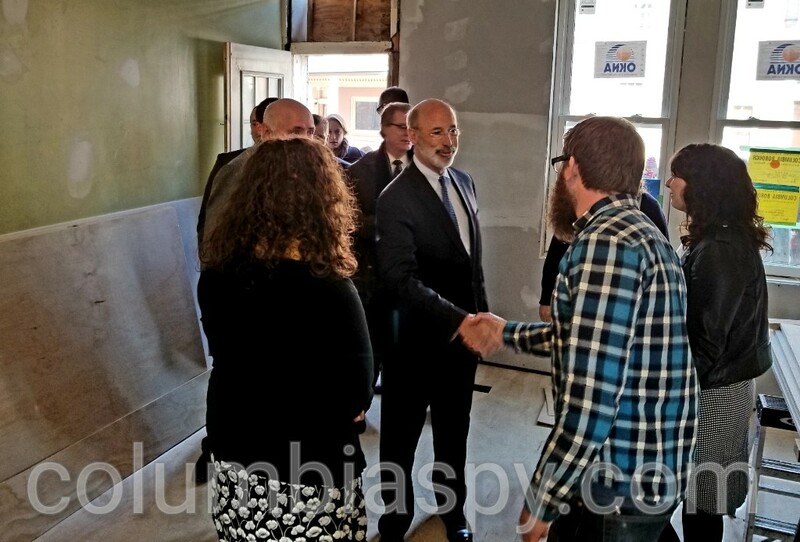 Governor Tom Wolf visited the CAPital Construction project at 304 Cherry Street last week. Keith Brommer, an experienced carpenter, is the foreman for the extensive gutting and rehab of a row house at 304 Cherry St., Columbia. He likes that his classroom is an actual construction site.